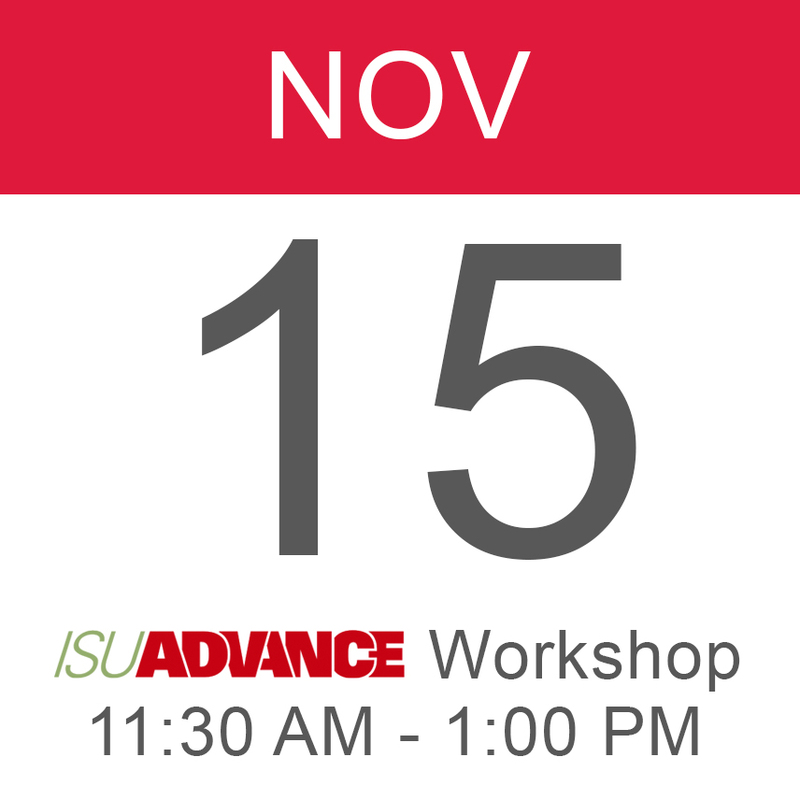 ISU ADVANCE will host this workshop for associate professors who are planning to go up for full professor in the near future. Faculty panelists will talk about preparing their portfolios and the different paths they took to meet the requirements for advancement to full professor. A question-and-answer period will follow. RSVP by Monday, Nov. 12.